TRIPLESIX HAIR DESIGNS is proud to present KRINKLEPUFFS, our latest fabulous hair creation that will certainly get you noticed anywhere you go! So what exactly are KRINKLEPUFFS? 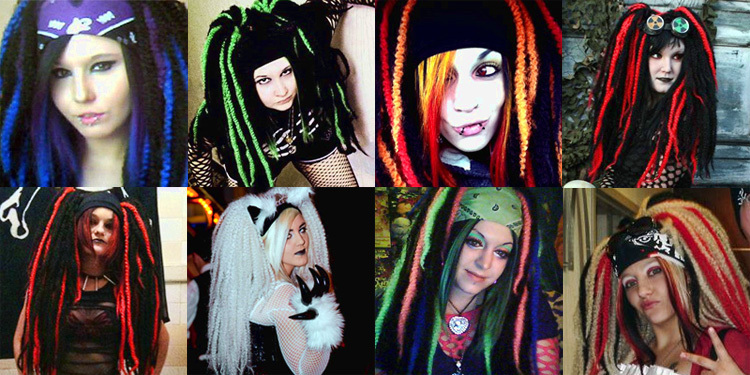 Made from 100% KANEKALON synthetic hair fiber & somewhat similar in design to our dread falls but with a different look and feel, KRINKLEPUFFS are giant poofy hair pieces that can be worn any time you desire a wild change to your usual hair style. Just like all of our other designs, these are extremely easy to apply & only take a few minutes to put on. HAVE A LUST FOR MASSIVE HAIR WITHOUT THE HEADACHE? These are the hair falls for you! Extremely lightweight, you'll barely notice they're attached! KRINKLEPUFFS are a great alternative for those of you who cannot handle the weight of dreads (or just want to change your look now and again) and are also perfect for clubbing or raving, you'll be free to dance the night away without ending the night in pain. TO WEAR KRINKLEPUFFS, YOUR HAIR MUST BE LONG ENOUGH TO PUT INTO BUNS OR PIGTAILS. These are attached the same way as dread falls. If you are new to hair falls and need help, please refer to the TUTORIAL section for more detailed information. Below you will find additional information as well as all of the options available to build your very own set of custom KRINKLEPUFFS! "KRINKLEPUFFS" IS AN ORIGINAL PRODUCT NAME BY TRIPLESIX HAIR DESIGNS. WE WORK HARD TO CREATE UNIQUE AND QUALITY PRODUCTS, ACCEPT NO IMITATIONS! The three basic size options are shown below. *ALL SIZES PROVIDE COMPLETE COVERAGE! These hair pieces are so super light weight, your head won't feel heavy at all - even with the massive "LARGE" size! KRINKLEPUFFS may also be customized to be smaller or larger than pictured. Contact me for details if you wish to create a custom size. or $85 with matching fringe package. $20 off - $45/$65 with fringe! or $105 with matching fringe package. $20 off - $65/$85 with fringe! or $125 with matching fringe package. $20 off - $85/$105 with fringe! The above color chart displays all of the colors we keep in stock. 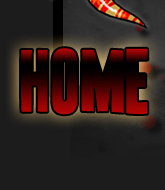 Colors represented as accurately as possible but may vary on different monitors/screens. ALSO AVAILABLE IN WHITE, YELLOW, ORANGE, LAVENDER, & GREY - UPDATED CHART COMING SOON. ORDERING IS SUPER SIMPLE! 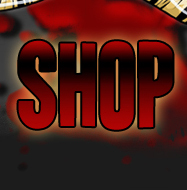 Below you will find a form for easy ordering and checkout through PAYPAL. 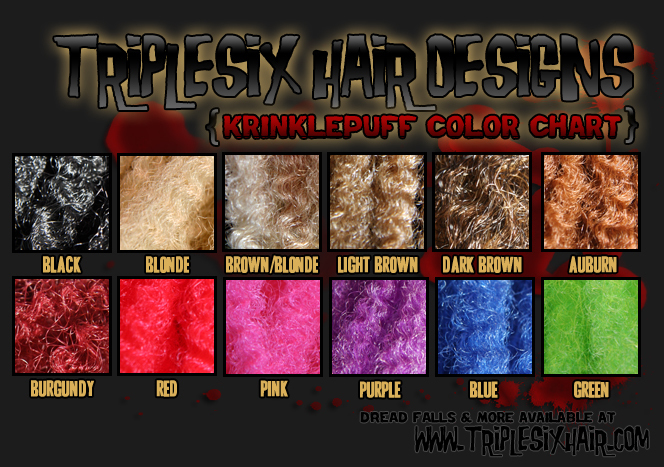 Simply select the options desired to design your custom KRINKLEPUFF hair falls and the proceed to the PAYPAL shopping cart to complete your order. 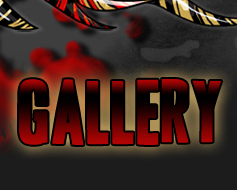 If you do not wish to use the PAYPAL checkout system, please email me to discuss other payment options! Choose your from the available KRINKLEPUFF sizes shown above. If fringe package is chosen you will receive a two color medium length fringe in your base color and first accent color choices to match KRINKLEPUFF hair falls as well as a FREE black headband. KRINKLEPUFFS can either be layered for more volume and length, or non-layered for equal length. Layered style is 25-26 inches in length, non-layered is 16-18 inches. There will more of this color than any of the accent colors your choose. If you selected a fringe package, this will be the color of the fringe top layer. Please write in UP TO THREE color choices from the chart above, separated by commas. *LEAVE BLANK IF YOU WANT A SOLID COLOR SET MADE FROM YOUR BASE COLOR CHOICE. If you have selected a fringe package, the first color listed in the ACCENT COLOR form field will be the bottom layer of the fringe so make sure you list your choices in order of preference. PLEASE REVIEW YOUR ORDER CAREFULLY ONCE YOU GET TO THE CHECKOUT PAGE! After you complete the transaction, I will begin work on the falls and you will not be able to change your order!